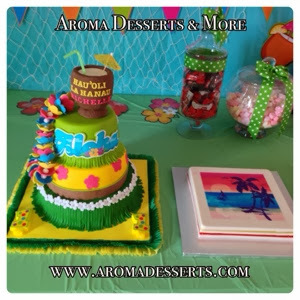 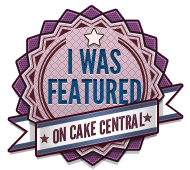 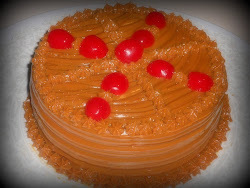 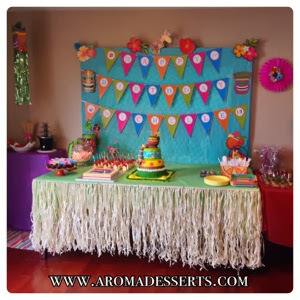 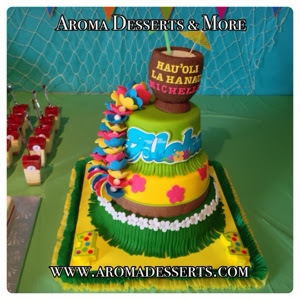 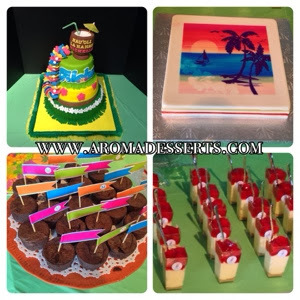 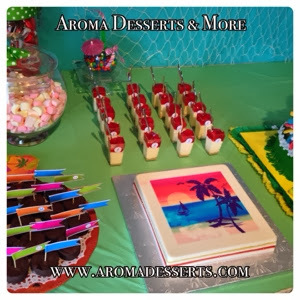 Hawaiian theme cake: Tier 1: Chocolate cake with chocolate fudge filling; Tier 2: Our famous orange cake with dulce de leche filling; Tier 3 Piña Colada: Pineapple cake with coconut cream filling and maraschino cherries. 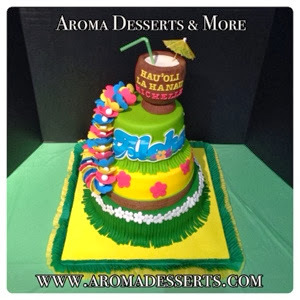 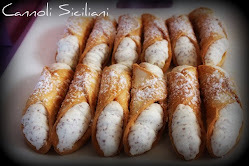 Covered and decorated with fondant, all decorations are edible, but the parasol and the straw. 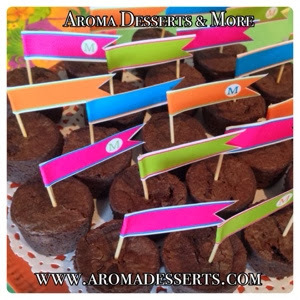 Chocolate Brownies. 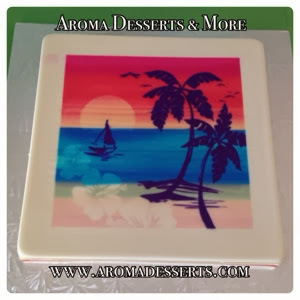 Decorated Jello made with coconut milk, pineapple and tropical fruits jello and decorate with an edible ink print. 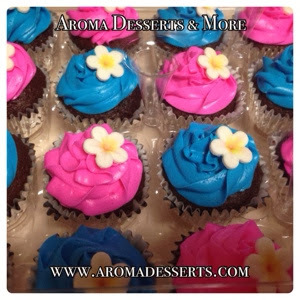 Mini cherry cheesecakes and cupcakes with vanilla buttercream frosting and and decorated with edible fondant flowers.